Rhino News, etc. 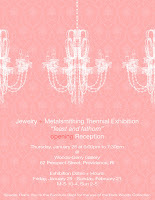 : Jewelry + Metalsmithing Exhibition - Opening Tonight! 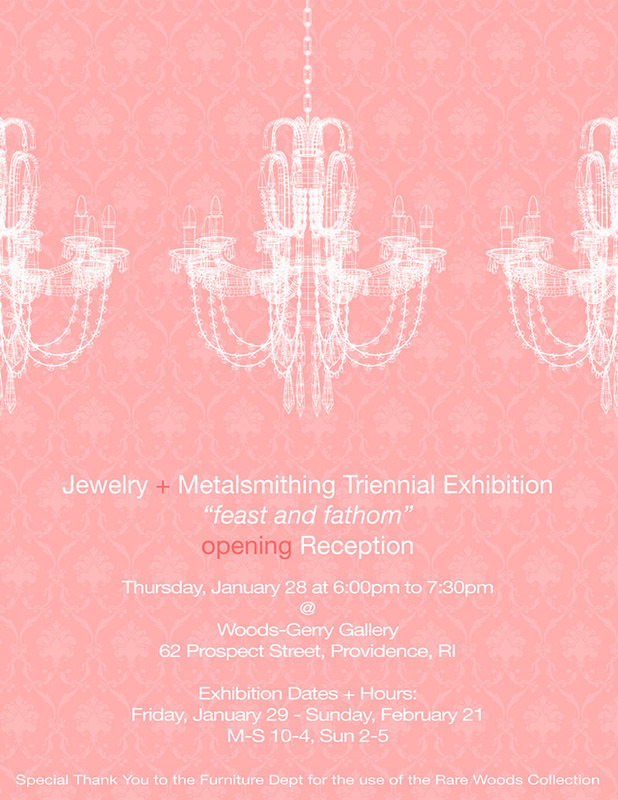 Rhode Island School of Design (RISD) and Woods-Gerry Gallery in Providence, RI, are joining for the Jewelry + Metalsmithing Triennial Exhibition 'feast and fathom". Besides the four rooms that creatively present jewelry designed and made by RISD Jewelry and Metalsmithing students from the past three years, the show includes a room dedicated to printed spec drawings of designs done with Rhino and RhinoGold. There is also a slideshow of rendered jewelry using Flamingo nXt. The Rhino course is a required part of the curriculum for undergraduate jewelry majors taught by Brian Bergeron. Many of the displays were also done with Rhino by Arthur Hash. Arthur will be teaching advanced CAD and CAD/CAM for the jewelry majors. Opening reception is tonight, Thursday, January 28th, 6 pm - 7:30 pm. If you miss the opening, the exhibition runs January 29 - February 21.